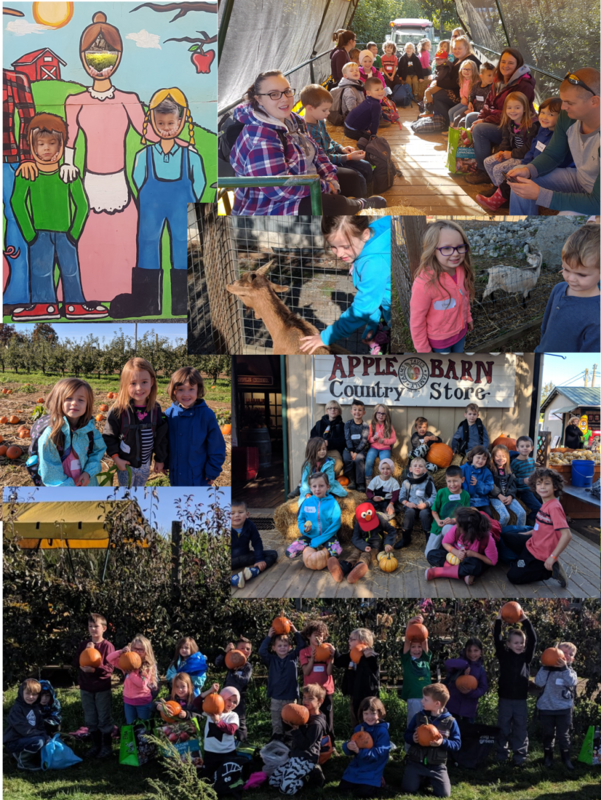 Our class had a fabulous time at the pumpkin & apple farm. The students left with new knowledge on bees, life cycles of pumpkins and apples, and products made from them. Thank you to the parents who made it possible by driving and helping with supervision. We also had a chance to map the sun as it moved across the sky this week. Monday: At the park. This week we’re learning more about fall and also nocturnal/diurnal animals and reducing waste. This is the week we will likely have SFU student teachers observing at the park. Wednesday: At FLE. Langley Environmental Partners Society workshop ‘Waste Warriors’. Early Dismissal at 1:45 for Parent Teacher Conferences. Thursday: At FLE. Early Dismissal at 1:45 for Parent Teacher Conferences. November calendar and Permission form will go home Thursday in mailbags. Friday: At FLE. Library book exchange. Halloween party October 31. Sign-up for a shared lunch item and 1 or 2 parent helpers requested to help with craft stations and lunch set-up between 11-12:40 (No siblings, please). Halloween day at school will start with a costume parade in the gym (parents & siblings welcome to watch), crafts in the classroom, a shared lunch, and a relaxing movie in the afternoon. Students are encouraged to wear a costume but please do not send masks or weapons and remember they will still play outside, weather permitting!